One of the stages that SalesScripter takes you through is identifying your value proposition. This is actually one of the steps that can be a little more challenging for us to go through, whether using SalesScripter or not. We can sometimes easily describe what our products do, but when it comes to describing how the products help and what they help our customers to achieve, we can sometimes struggle a bit. 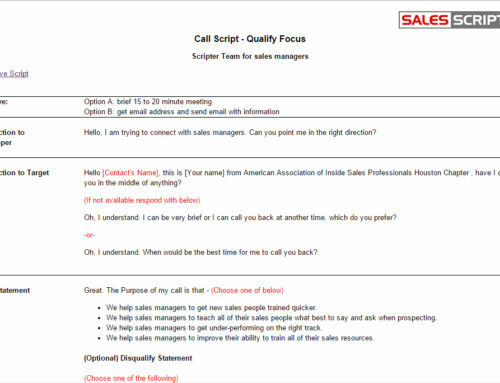 SalesScripter is designed to help you to get your hands around what you should say in this area. But, since this activity can push you outside of your comfort zone, this stage of the scripter can be a little intimidating. To help with that, we have recorded this training video. 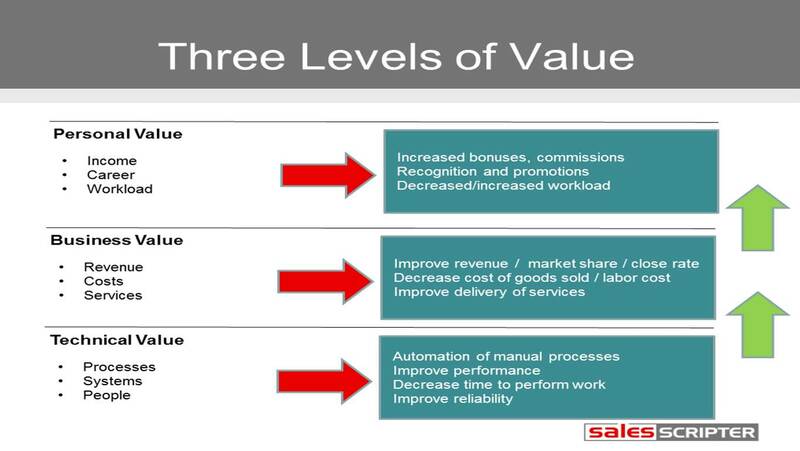 One thing that is important to grasp with the way SalesScripter works is that we break the concept of value down to three levels. And before we explain those, let’s be clear to point out that value in this context refers to how your products help your clients or what they help them to achieve. The lowest level of value that you offer is technical value. These are the improvements that you deliver or help your clients to achieve in the areas of processes, systems, and people. An example of this could be providing a product that helps to automate a manual process. The next level of value is business value. When you help to create benefits at the technical level, these will work their way up to create business value or business improvements. These can be seen in the areas of costs, revenue, or delivery of services. Continuing with the same example, when we help to automate a manual process, this could create business value in the area of decreased costs. Or it could lead to improved delivery of services. Probably both actually. The value delivered does not stop there as it actually can continue on to create personal value for the person that is actually buying from us. This refers to improvements in the areas of compensation, career path, work environment, etc. If we help a business manager to automate a manual process and decrease costs, this could certainly create improvements for this individual. It could mean that they are able to spend less time working in the evening or on the weekends improving work-life balance. It could mean that they get a bigger bonus by decreasing costs. This is an important step for you to go through, again whether you use SalesScripter or not, as it can greatly improve your ability to communicate what you have to offer to your prospects. Your prospects don’t care as much about what you sell as you do. They really just care about “what is in it for me” and communicating the value that you offer answers this. 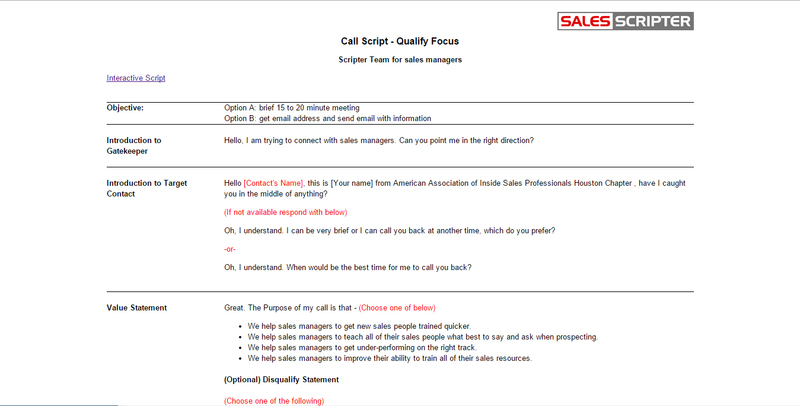 Sign up for a free trial of SalesScripter here.